Early absence of love and other traumatic childhood experiences contribute massively to becoming a love addict later on in life. They also do not allow our brain to shape and wire the way we would actually need it, to build resilience that enables us to deal with life’s upheavals later on. Learn about the second reason why we are addicted to love and how to overcome it. 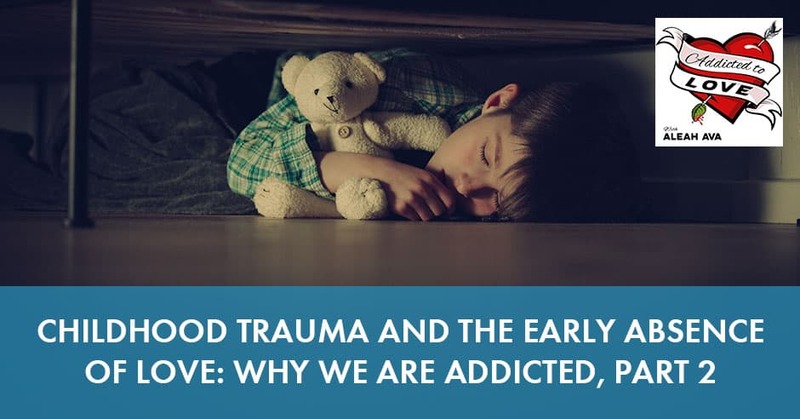 Get in touch with what experts call “childhood trauma” or “early abandonment from our caregivers.” We reflect on the ways the brain imitates the world we grew up in and discuss how we often recreate that “early absence of love” in order to heal it. Often, in adult life, we are still trying to get the love we have been longing when we were little. Becoming aware of this will not only ignite healing, but will also allow us to give our children the love they truly need and long for. This episode is called Childhood Trauma and the Early Absence of Love, Why We Are Addicted to Love, part two. In our previous episode, we talked about how our brain chemistry contributes to love addiction. We will look at the second major reason for potentially becoming a love addict. I want to tell you that for the work that I do, this will be the most important reason to understand and once we do, it can change everything. The way I structure my episodes is paramount to your success in overcoming love addiction. There is a strategy behind it to ensure that we can take off one little layer after another to get where we need to go in order for us to be successful in overcoming love addiction. We all have carefully drafted defense mechanisms that make sure we prevent pain. Our brain is wired in such a way. For this reason, we can’t rush into anything. We have to digest it all, piece by piece for all of this to work. The second reason for love addiction is something I understood deeply and brutally explored in my own life. It is the very reason why I do what I do and the result of the work I offer. It enabled me to turn my life around 180 degrees. I know what works to do so. I have experienced firsthand how much of an addiction love can be. How I was honestly looking for that next shot and how without it I would be completely lost, in some moments unable to do life. It took away every dignity, possibility and hope. It has brought me to my knees where I said, “I’m done with this life. I’m going to end it right now.” Had there not been my family and friends that I truly cared about, I don’t know what I would have done. I was ready to give up. I faced death in these moments and thought, “Where do I go from here? Why be alive when all I feel is utter hopelessness?” Death seemed so much more attractive to me than life. Thank God in these moments, I had help. Instead of remaining in this comatose state, I had help in exploring the feelings that were behind the desperation. Diving into the feelings took away the component of suffering in it. The point is that what I’ve found beyond my desperation, utter pain, and not wanting to be alive is what ignited my healing. In simple words, it is the horrific pain of the early absence of love. Many specialists refer to it as childhood trauma or early abandonment from our caregivers. I want to talk about what early absence of love really means and what consequences it has on the child so we all know what I’m talking about here. When we are born, we’re little beings full of needs and we are fully dependent on someone else taking care of us. We need to be fed, dressed, bathed, put to sleep and kept safe. Most importantly, besides the obvious needs for food, shelter, and safety, we need to be held, cuddled, loved, seen and validated. We need to be paid attention to, talked to, looked at and respected in our feelings. In other words, we need to be deeply loved and we need it at the time we need it. If these needs are not met at the moment we need it, meaning if we’re not loved when we need it, we are in deep pain. We’ll translate that into feeling unworthy and unloved. That is also where this never-ending feeling of not being good enough comes from that so many of us face. It keeps so many of us from living up to our true potential, making things happen for us, and living that great version of ourselves. Not experiencing that deep form of love truly meant that we might die. I’ve been there, I re-experienced how it felt when I felt unloved. Whether we’ve been loved in this way or not, it has turned out to be decisive for whether we were to thrive later in life or not. We need to understand that love and a save attachment allows our brain to develop adequately, which builds resilience that allows us to deal with the challenges later on in life. I’m talking about the important work of Dr. Bruce Perry, a child and adolescent psychiatrist and neuroscientist who says that the brain reflects the world you grew up in. If that world is relationally impoverished, if people are not talking with each other, resent each other or there is any form of adversity such as stress, related to money, a child won’t get adequate stimulation of the parts of the brain involved in forming and maintaining healthy relationships. You will be fundamentally self-absorbed. The seed of resilience comes from at least one secure attachment experience in childhood. That is what makes children do well later in life. Dr. Perry does probably one of the most impactful and important work in this world. In the ChildTrauma Academy, he treats children with a traumatic background, creating opportunities for consistent, predictable, nurturing, and relational interactions. This is used to shift some of the traumatic imprints these kids have received due to impoverished relationships and childhood trauma. For most of us, that level of love has not been available. Most of us have repeatedly not had our needs for love and attention fulfilled when we needed it. 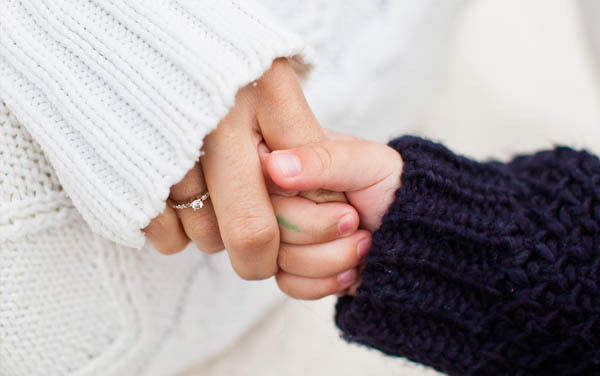 Very early in life, we learned that our intrinsic needs for validation, love, and connection with one or both parents were not met. Many of us did not have a secure attachment and good bonding experiences. We felt very neglected, deprived, and abandoned many times. Most of us had had the basic needs fulfilled such as food, shelter and safety. The other needs such as deep connection, love, presence, care and attention were oftentimes completely neglected. Naturally, we’re still on the lookout for that love and attention. As a love addict, that is what we are occupied with for most of our time. Our parents meant probably well, but they could not give us what they had not been given themselves. For their generation, that form of love has probably been even less available. That early absence of love shapes and wires our system the way we experienced life. Children absolutely need to experience a save attachment to their primary caregivers. If this doesn’t happen, the feelings resemble one of dying, that’s how deep the pain is. The Attachment Theory was originally formulated by Bowlby. He explains why young children are in distress when separated from their primary caregivers. Human infants seek proximity to a familiar caregiver, which is the attachment figure, to feel more psychologically secure in that person’s presence. They protest vigorously when proximity to that person is denied. In this way, evolution has equipped infants with various ways to increase their potential survival in the world. They require the care and protection of what Bowlby called a stronger and wiser one. Good attachment gives a sense of stability. It enables the attached human to explore the environment more freely, develop interests and skills more readily than if the relationship were troubled or threatened. According to Bowlby, human beings of all ages are happiest and able to deploy their talents to best advantage when they are confident that, standing behind them, is one or more trusted persons who will come to their aid should difficulties arise. Why We Are Addicted To Love: Good attachment gives a sense of stability and enables the attached human to explore the environment more freely. If proper attachment didn’t happen, we internalize shame and it affects our self-esteem in our adult life. It can result in a huge fear of abandonment and an underlying subconscious fear of intimacy. Another thing that was truly missing for many of us is emotional support where we were helped in dealing with what we were feeling. Unfortunately, many of our parents have not learned that themselves which is why they didn’t know either how to deal with their children’s emotions in a healthy and constructive way. The simple question of, “How are you feeling? Tell me all about it.”, allowing us to share our feelings, pain, frustrations, anger, sadness or insecurities for as long as we need to and, in the way, that we need to express it, was unavailable to many of us. Most of us never had anywhere to go with our feelings. This lack of emotional support oftentimes creates a deep feeling of loneliness and isolation because we’re left to ourselves with all that we are feeling. How does that early absence of love make us a love addict? Well, naturally, we start to develop fantasies and expectations that someone else can give us what we never had and we keep looking for what we deeply long for. We also keep looking for ways to heal the trauma, at least subconsciously. We find ourselves attracting and recreating the early absence of love with unavailable or even abusive partners. For one, because it’s what we know, and on the other hand, we create chances to heal our wounding. The person we choose often shows similar, if not the same, traits as our parents had. It’s like dysfunction attracts dysfunction. We chose our partners precisely for the mutual healing of our childhood wounds. Sometimes we do the total opposite of what we experienced. Truth is, neither of it makes us free. We hope that this special person will finally fulfill all the needs that were not fulfilled when we were a child. We all know that our parents did their best. As an adult, we can understand that. The hurt child in us, the one who was in pain for a prolonged period of time, still does not understand this. Consciously, we can become aware of our addiction, but unconsciously we won’t be able to change our impulsive and involuntary behavior. Behaviors that we’re still showing as we still have this deep-set imprint that will take over once triggered. I can say, “I shouldn’t call him. It’s been only two hours,” but the fear in my subconscious will simply dial the number. This process happens involuntarily and automatically. Before we know it, we show severe obsessive behavior. The reason why it happens involuntarily, in my experience, is because our body responds with a fight or flight mode when a potential threat presents itself. Not being loved is a very big threat. It is also referred to as Hyperarousal or Acute Stress Response. It is the physiological reaction that occurs in response to a perceived harmful event, attack or threat to survival. It was first described by Walter Bradford Cannon. The threat to survival is what causes the involuntary action as infants literally feel that they might die if they won’t be loved. That’s how strong their feelings are about not being loved. I truly know that because I have repeatedly been in the depth of these feelings when I was working through it. If a child doesn’t experience love and presence on a consistent level, they sometimes silently scream in agony when not having it. It also means that the world isn’t safe. We do not develop adequate self-love or self-sufficiency, often resulting in the feeling of not being good enough. Not being worthy of healthy love or not being able to live our greatness. 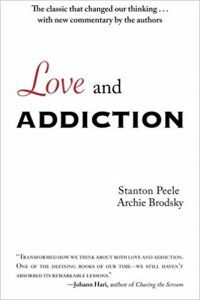 In the book, Love and Addiction by Stanton Peele and Archie Brodsky, it is described that growing up without a sense of self-assurance and self-sufficiency makes us liable to addiction. For most of my life, I had so many amazing ideas and great talents to do awesome things, but I could never make it happen. It always felt like I deeply lacked something that I needed in order to thrive in life. It felt like having to drive a car without petrol. It’s this void, that emptiness that constantly sits in the driver’s seat. That’s the place we steer ourselves from. From a place of emptiness, non-approval, lack of self-confidence and lack of self-love. Unless we realize that our car has no petrol and we fill it up, this won’t change. However, the process is as such. We realize that the tank is empty, that’s called awareness. We then have to take the pump and put the petrol in. That’s the amount of work we have to contribute in order for the tank to be filled up, then, we can drive. Unless we have the courage to go back and feel at least some of that early absence of love, the neglect, the feelings of having been left alone, of not being loved and adored, we won’t be experiencing sustainable change. This is something we cannot resolve in our mind by simply adopting some great concepts and then adjust our behavior to it. The impulses won’t go away by talking ourselves healthy. The impulses only go away if we rewire our system. We can only rewire it when we dive right back into our feelings. Otherwise, we will keep running after hopefully finding someone that will give us what we needed when we were little. Trust me, this probably will never happen. Unless we have dealt with the pain of early absence of love and not having had our needs fulfilled, we will keep attracting and recreating that early imprint. In order for us to become aware of it, feel it, and ultimately heal it. As a child, it was ought to us to have our needs fulfilled because we were little and we could not give it to ourselves. Now being an adult, it is no longer ought to us to have our needs fulfilled. It becomes first and foremost an inside job. We have to actively create a life where we shape reality in a way that will naturally fulfill our most important needs in either neutral or positive ways. We can only do that if our adult self is behind the steering wheel and not our wounded three-year-old self. We have to honor and validate the feelings of that three-year-old. This child will scream in agony until it will be heard and validated in its feelings. In other words, we need to have the courage to feel the pain we’ve never wanted or were unable to feel. Once we do that, everything changes, and we can finally grow up. With growing up, compulsion, neurosis, and obsession won’t have that much space anymore. The problem is that we are afraid of feeling because we mistake feeling with suffering. When we were little and all of this happened, we were not able to deal with it. We were too small and it was overwhelming. That is what our body remembers when it gets triggered. Now, we are adults and we can deal with it. If you want to learn how to do that, then I invite you to stick with this show. Piece by piece, I’ll share my very own tools and practices that helped me do that. In my opinion, this early absence of love that happened to so many of us created a world full of broken hearts. The repercussions are devastating. We face teenage suicide, violence, act-outs on so many levels. It has to stop. We can heal the world one human at a time if we start with ourselves. We need to go back into the wisdom and the language of our heart. Back into our empowered vulnerability where we are at ease with our feelings. Instead of repressing or acting them out in unconscious and unhealthy ways. This has probably been one of the most important episodes so far. If you have feelings that came up, I encourage you to allow them. We are slowly starting to learn that uncomfortable feelings are just as important as what we label, the good ones. They are the key to our heart. 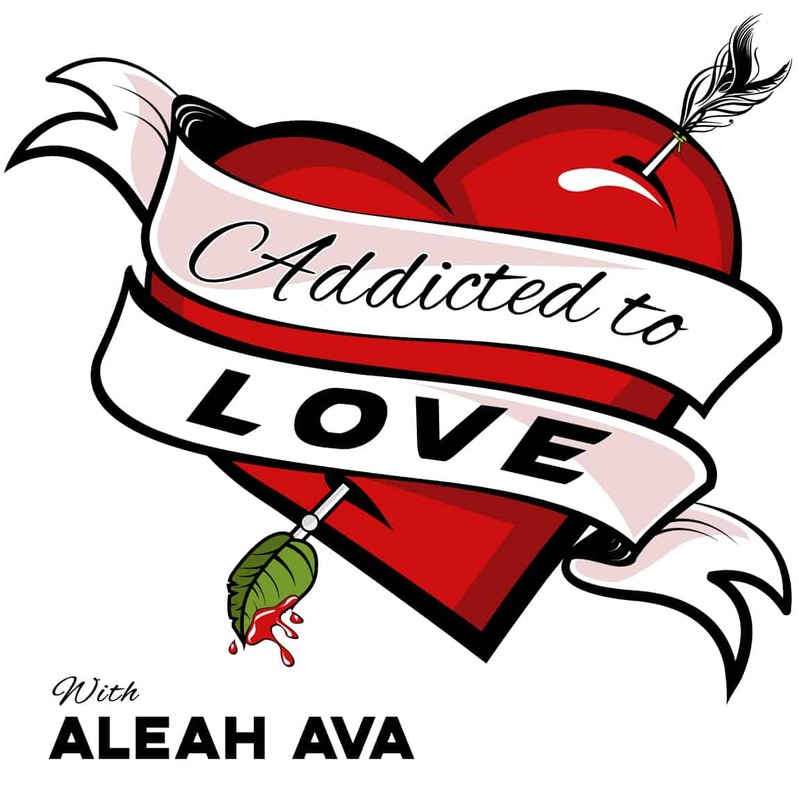 If you need help, head on over to AddictedToLovePodcast.com and send me a message. Thank you so much for taking the time to read. I look forward to our next episode together.